On the 26th of September, Stifterverband together with DAAD organised a conference in Berlin looking at ways to reinvigorate and reinforce the Bologna Process through the adoption of digital technologies. Anthony Camilleri from the Knowledge Innovation Centre, together with Florian Rampelt from Stifterverband, used the opportunity to present a workshop on the Quality of Credentials in Open Education, utilising work that was developed for the OEPass Project. 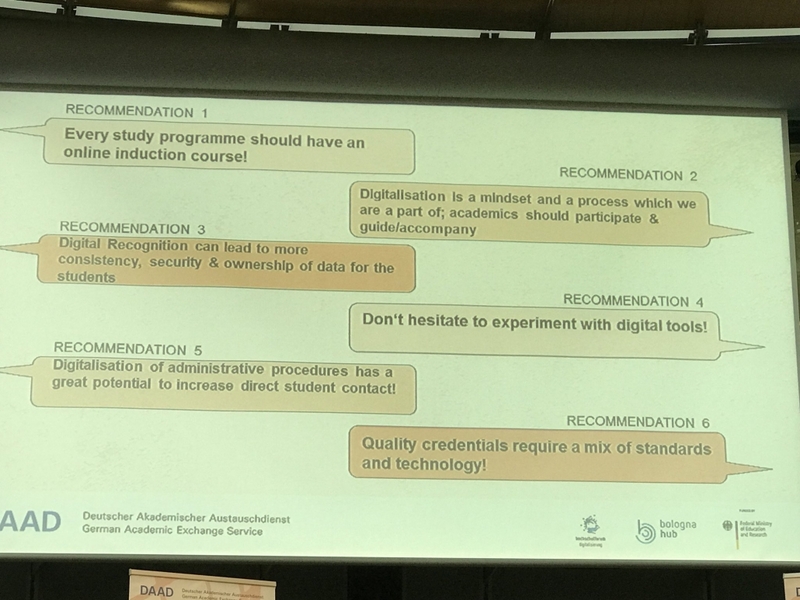 The presentation focused on the challenges alternative systems of credentials, such as nanodegrees and micro-masters, present to education, and addressed the issues of how to measure whether such credentials meet the twin tests of recognition and portability. Technical quality of credentials which consists of factors such as the distinctiveness, security, modularity, interoperability, standardisation, learner-control, value and revocability of credentials. The workshop brought together participants from Higher Education Institutions around Germany, together with digital education experts from around Europe. The discussions were focusing on how to ensure that recognition processes can simultaneously convey enough information to allow for true cross-border and interinstitutional recognition of learning, while at the same time not overwhelming companies and universities with bureaucracy. In line with our OEPass philosophies, participants reached some consensus that a combination of standards, paired with new technology, will be required to a make this happen.